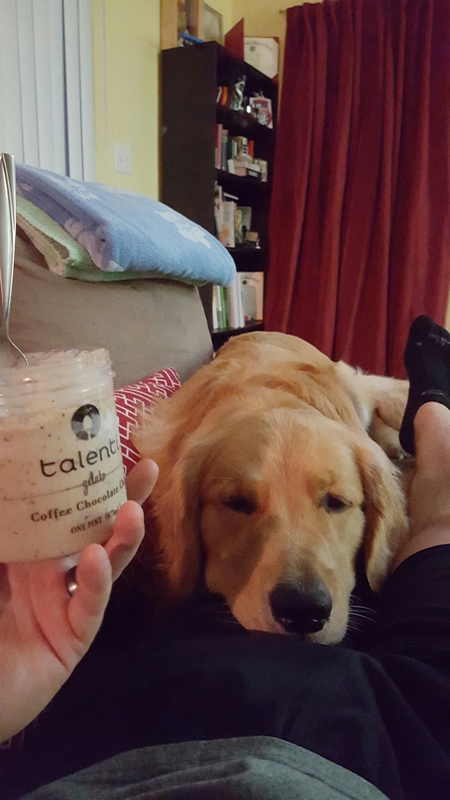 The other night I was sitting on the couch being fat and eating Gelato right out of the tub (if you can call it that). Ever the foodie Oshie decided to investigate. It started off with him sitting in front of me on the floor intently watching as I shoveled each bite into my mouth. Fast forward a few minutes and he was laying on my lap putting on his best act. 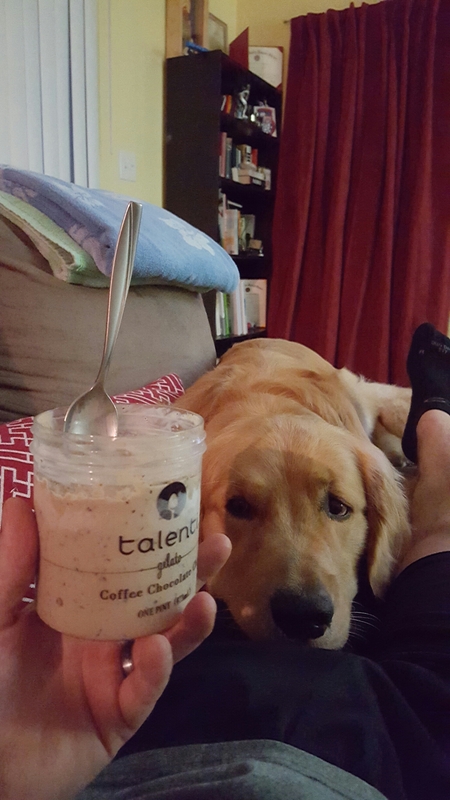 He was doing sad puppy eyes and staring at my treat. He is so expressive with his eyes it is amazing. He may not be able to talk but you can pretty much always tell what he is thinking or what his mood is by looking at his eyes. I didn’t give in because there was chocolate in the Gelato, had it been vanilla I would have had a hard time not giving him a treat. He sure knows how to work us over to get what he wants. What a great dog with such expression. 1. That is the best gelato! 2. That face. Wow. Looks familiar. It is actually the first time I have had it. It was delicious! That is him any time we have food. You’d think we don’t feed the bugger.